For each of her patients who finds themselves expecting, Dr. Regina L. Edmond, a highly trained obstetrician practicing in West Hollywood, California, wants to ensure you have the most rewarding experience during your pregnancy. Through the many changes your body and mind will experience, Dr. Edmond will help guide you through a healthy, happy pregnancy. What do I do when I discover I’m pregnant? Congratulations! Now the fun part begins. The moment you discover you’re pregnant, Dr. Edmond recommends patients contact her to begin our prenatal, labor and delivery, and postpartum (after childbirth) care. During pregnancy, you’re going to experience many physiological changes, and it's important that you and Dr. Edmond keep a close eye on them. Most are completely normal, but it's to your benefit to make sure everything is progressing normally as you go through this very exciting period of your life. On subsequent visits, she’ll evaluate you and your baby by monitoring your weight, blood pressure, and the baby's heartbeat. She will also take regular measurements of your abdomen and check the position of the fetus. Usually, during the first trimester, Dr. Edmond will do an ultrasound. This will tell you many things about your new baby (even if there's more than one!) and will help determine your future care. The goal throughout this cooperative effort is to ensure you have a safe and enjoyable pregnancy and to immediately address any complications that might occur. The physical changes you’ll experience during pregnancy may create some unfamiliar discomforts, such as nausea, constipation, and hemorrhoids, backache, heartburn, fatigue, headaches, swelling, breathing difficulties, etc. Dr. Edmond will give you suggestions and tips on how to relieve these discomforts and any others you might experience. Your contractions will be closely monitored; Dr. Edmond will also perform several tests and exams to ensure the delivery is progressing normally. If any complications arise, you can be assured they’ll be dealt with swiftly and with expert care. If you have specific ideas/concerns regarding your delivery (e.g., the Bradley method, natural childbirth, hypno-birth, doula assistance, etc. ), Dr. Edmond encourages your input and will work closely with you to ensure your delivery is safe for the baby and meets your expectations. How will Dr. Edmond help following childbirth? 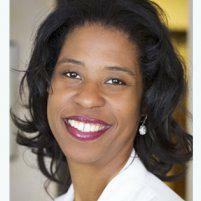 After delivery, Dr. Edmond will discuss breastfeeding, reproductive health, and contraception. She will also give you ideas on things you can do to ensure your body returns to normal as quickly and comfortably as possible. Call or schedule an appointment online with Dr. Edmond if you’re pregnant or planning on becoming pregnant.